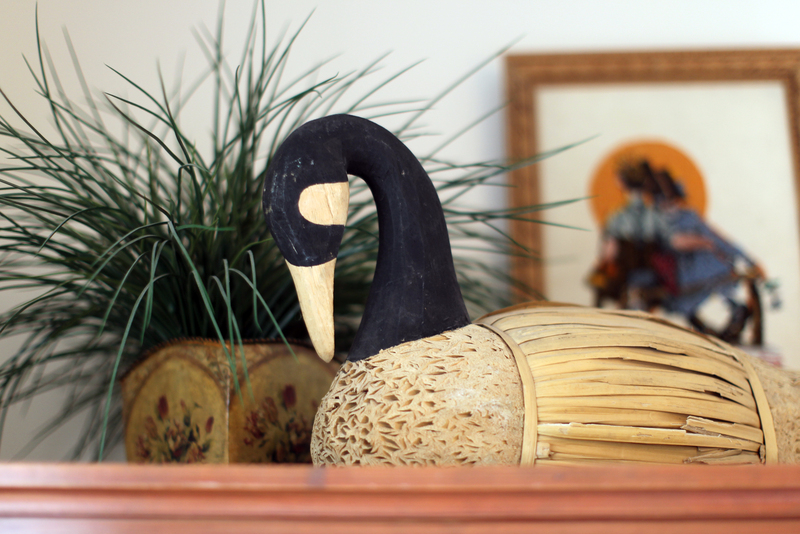 Charming décor, antiques and reproductions lend themselves to the historic prestige of our Bed & Breakfast and The Captains Quarters. A member for the National Register of Historic Buildings, The Captains Quarters maintains its historic charm while providing modern amenities that make your stay comfortable, memorable and special to you. Located on the first floor, The Captains Quarters includes a King Bed or if you prefer, two Twin Beds with memory foam topper. 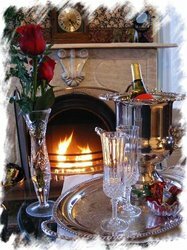 A working marble fireplace and 12 foot ceilings complete the room and create an ambience appropriate to our historic Inn. Charming décor, antiques and reproductions lend themselves to the historic prestige of our Bed & Breakfast and The Captains Quarters. Located on the first floor, The Captains Quarters includes a King Bed or if you prefer, two Twin Beds with memory foam topper. A working marble fireplace and 12 foot ceilings complete the room and create an ambience appropriate to our historic Inn. It contains a standard bath, tub and shower. With colonial historic design elements with an English flair and antiques in mind we designed out Somerset Room for guests who desire luxuries of a time past and conveniences of a more modern time. 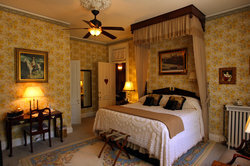 The Somerset Room includes a pillow top four poster canopy King Bed, working marble fireplace and large private whirlpool tub. With colonial historic design elements with an English flair and antiques in mind we designed out Somerset Room for guests who desire luxuries of a time past and conveniences of a more modern time. The Somerset Room includes a pillow top four poster canopy King Bed, working marble fireplace and large private whirlpool tub. A beautiful room featuring unique French interior design, our Bonaparte Room will make you feel like royalty. Including a King bed with distinct French canopy, guests can cozy up while a fire crackles in the functional fireplace and enjoy the modern features like the TV and complimentary WiFi from the comfort of the charming guest accommodations. Including a King bed with distinct French canopy, guests can cozy up while a fire crackles in the functional fireplace and enjoy the modern features like the TV and complimentary WiFi from the comfort of the charming guest accommodations. 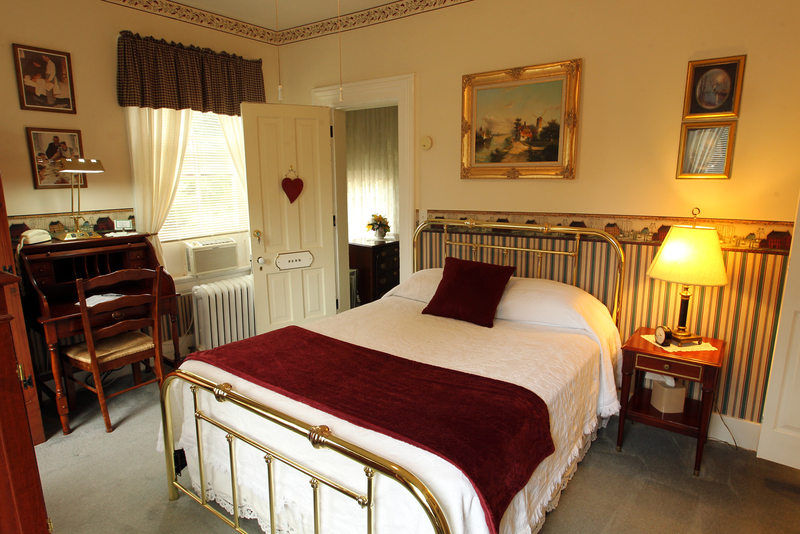 Big on space and charm, our Cottage Suite is a large two room suite great for families, bridal parties or groups wishing to stay together. 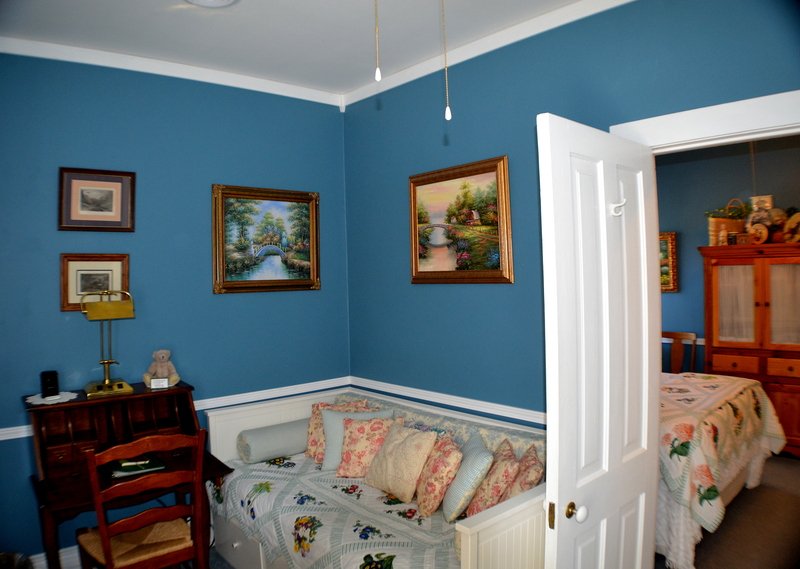 The Cottage Suite features two rooms decorated in refreshing whites and calming blue’s, including one Queen Bed in the Master Bedroom and a day bed in the living room. 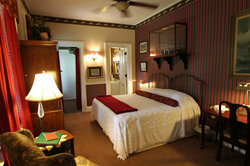 Our Cottage Suite is located across the hall from the Pine Room and provides the option for expanded stays. Many guests rent both the Cottage Suite and the Pine Room together, closing off the hallway door to the other second floor rooms, creating a private wing all your own at Pinehill Inn B&B. Prices above are for 2, add $20/night for a third person. Convenient, affordable and equally charming as our other accommodations, the Pine Room is our coziest room. Located on the second floor, The Pine Room contains a thick pillow top Queen Bed, cable TV with DVD, a refrigerator and full size shower. Check-in, drop your bags and relax in the Pine Room at Pinehill Inn B&B. Convenient, affordable and equally charming as our other accommodations, the Pine Room is our coziest room. Located on the second floor, The Pine Room contains a thick pillow top Queen Bed, cable TV with DVD, a refrigerator and full size shower. 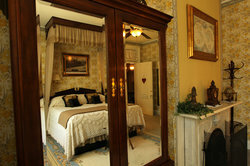 Check-in, drop your bags and relax in the Pine Room at Pinehill Inn B&B. 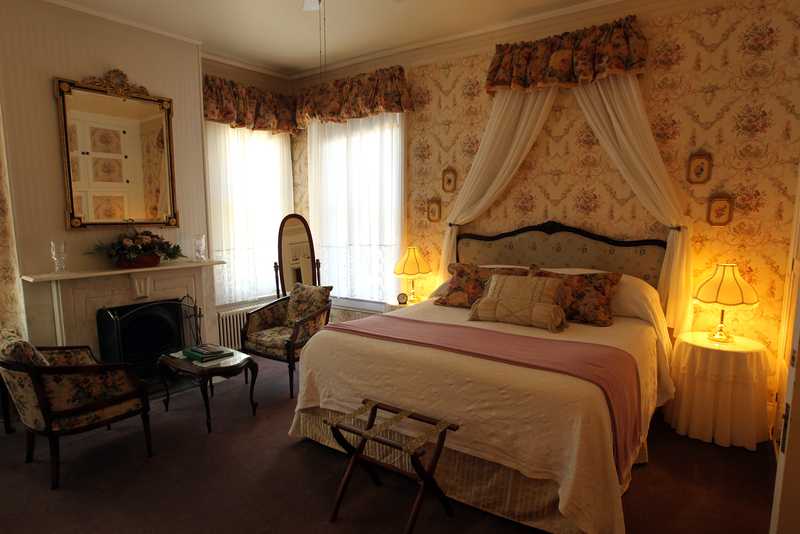 Elegant and inviting, our Rose Room is the delicate, charming B&B getaway you’ve been dreaming of. Outfitted tastefully with luxury linens and classic textures, The Rose Room features a King Bed with a pillow top that will have you dreaming you never have to leave. One of our most popular rooms, our Rose Room includes a working marble fireplace, lounge chairs and a private bath and shower along with Bose Wave radio, TV, DVD player and refrigerator. 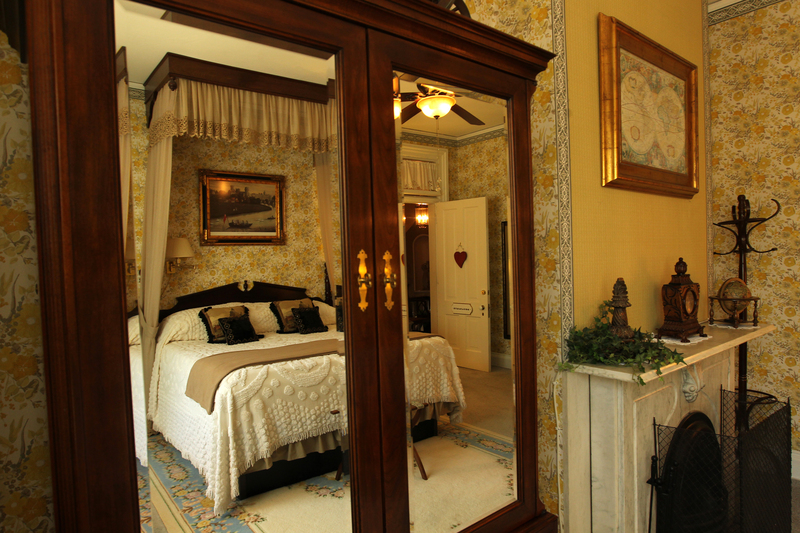 Elegant and inviting, our Rose Room is the delicate, charming B&B getaway you’ve been dreaming of. Outfitted tastefully with luxury linens and classic textures, The Rose Room features a King Bed with a pillow top that will have you dreaming you never have to leave. 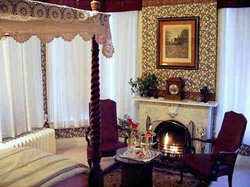 One of our most popular rooms, our Rose Room includes a working marble fireplace, lounge chairs and a private bathroom with shower along with Bose Wave radio, TV, DVD player and refrigerator.